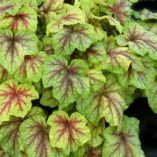 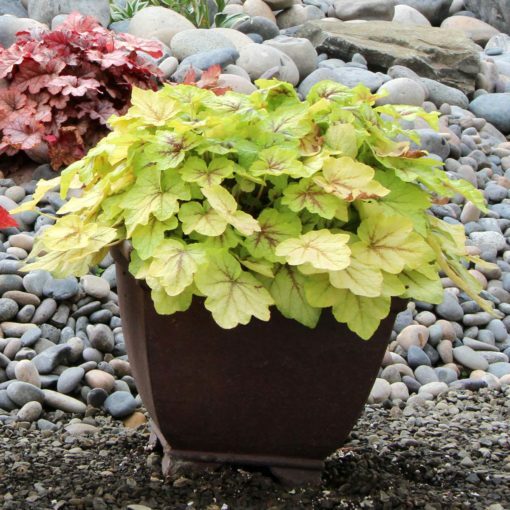 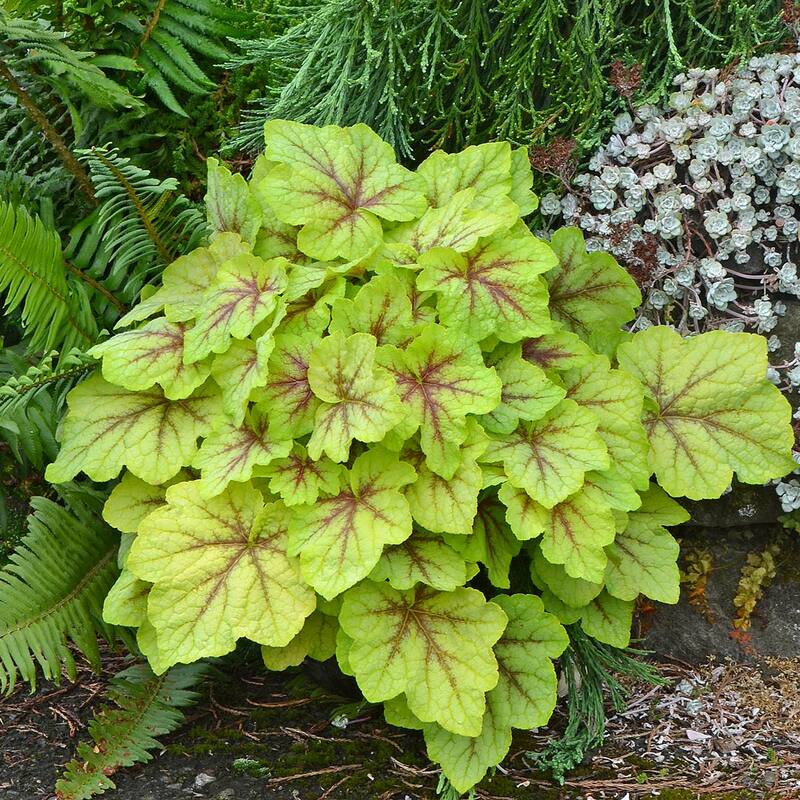 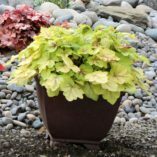 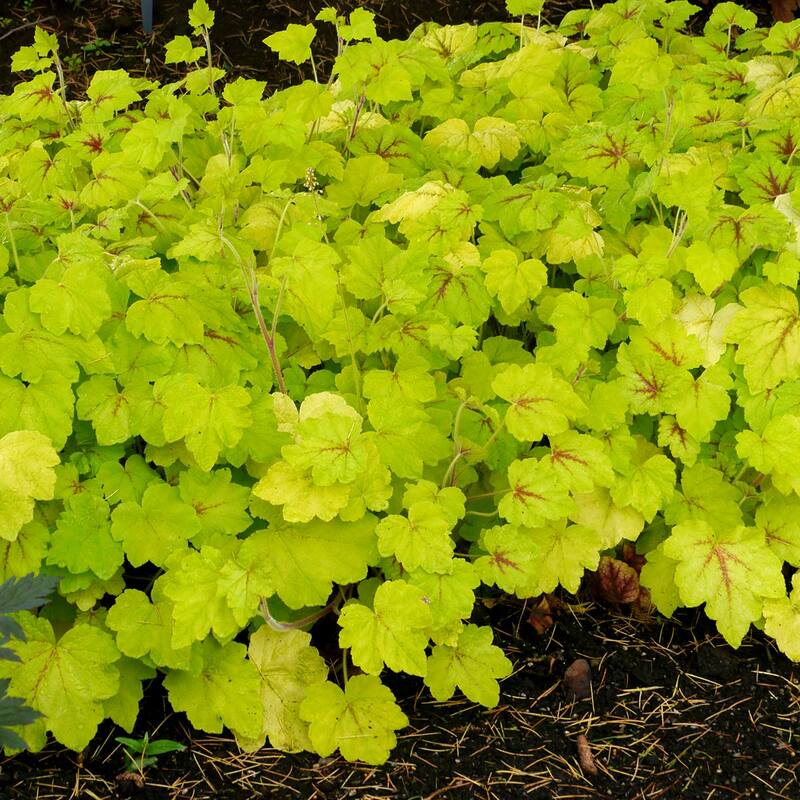 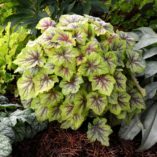 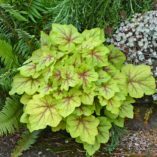 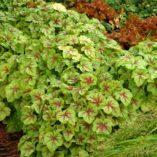 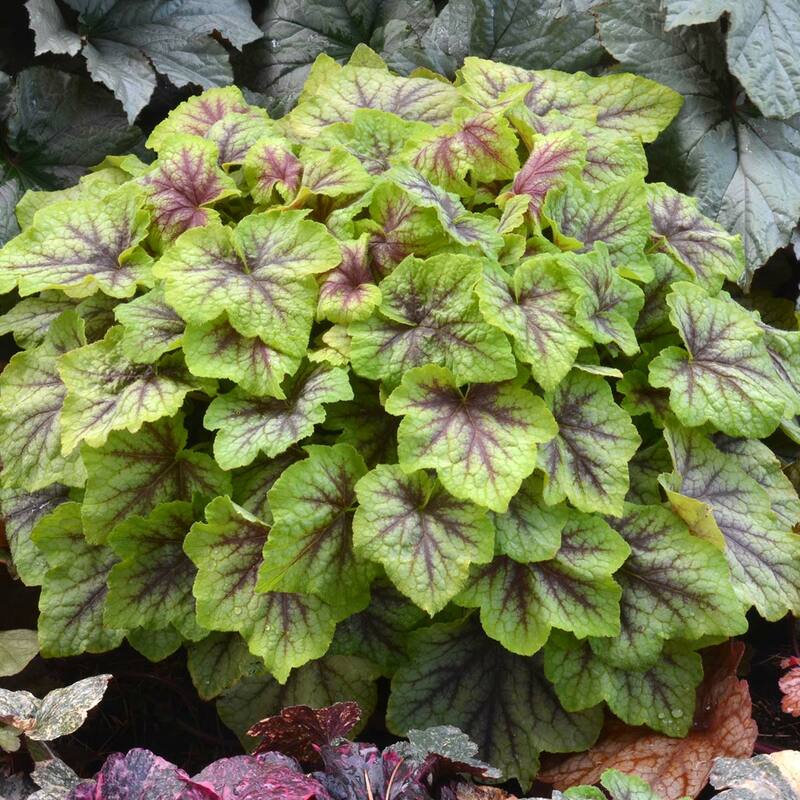 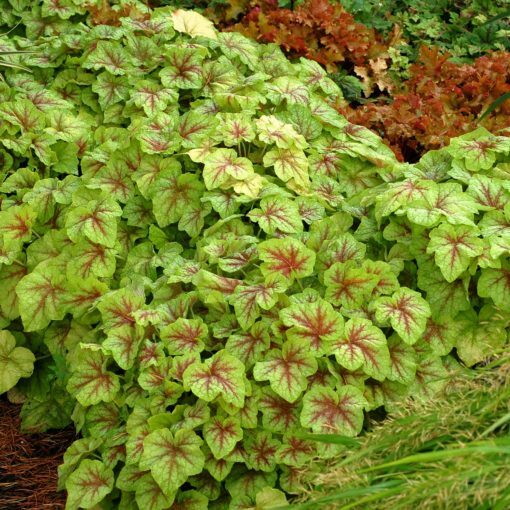 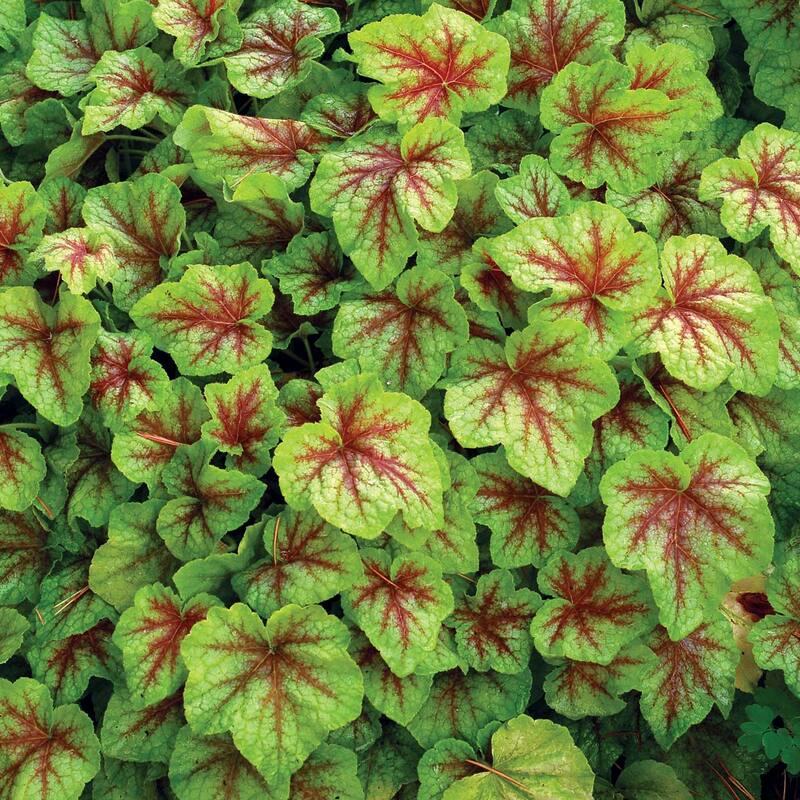 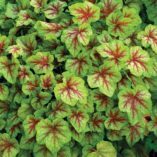 Heucherella ‘Fire Frost’ | TERRA NOVA® Nurseries, Inc.
'Fire Frost' has lovely, warm leaves of yellow to lime with a large red center frosted by a strong white veil. 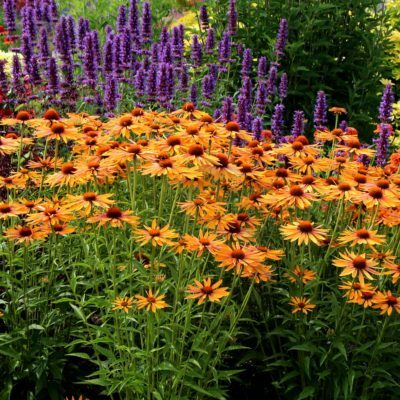 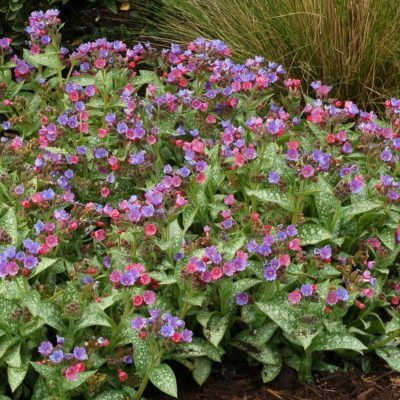 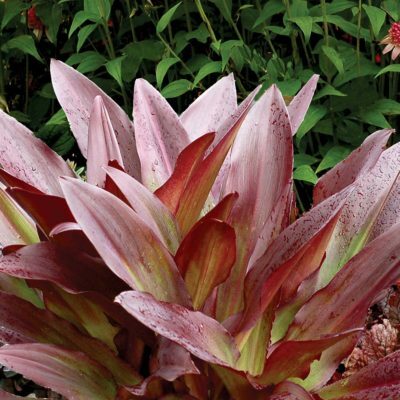 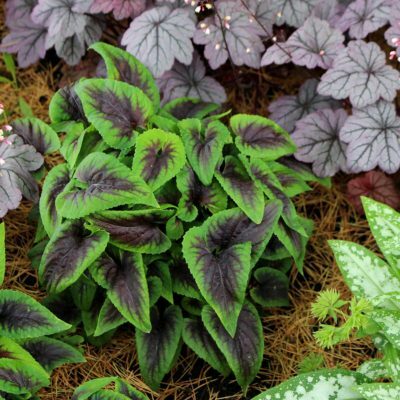 It forms a vigorous mound that is well-colored all year. Breeding with H. villosa hybrids has given it the larger leaves and habit as well as a tolerance to heat and humidity. 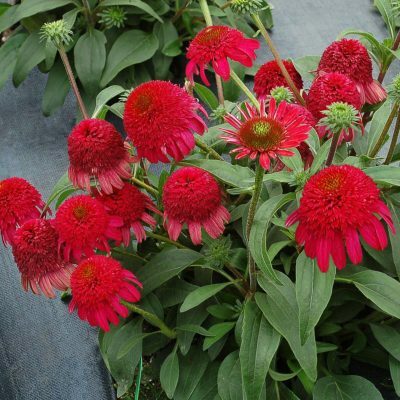 Great in a container or in the garden bed. 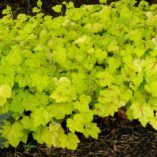 10" / 18" / 18"
Landscape type with a mounding habit with yellow to lime leaves, red centers and strong white veil, like 'Stoplight' on steroids with a white veil.